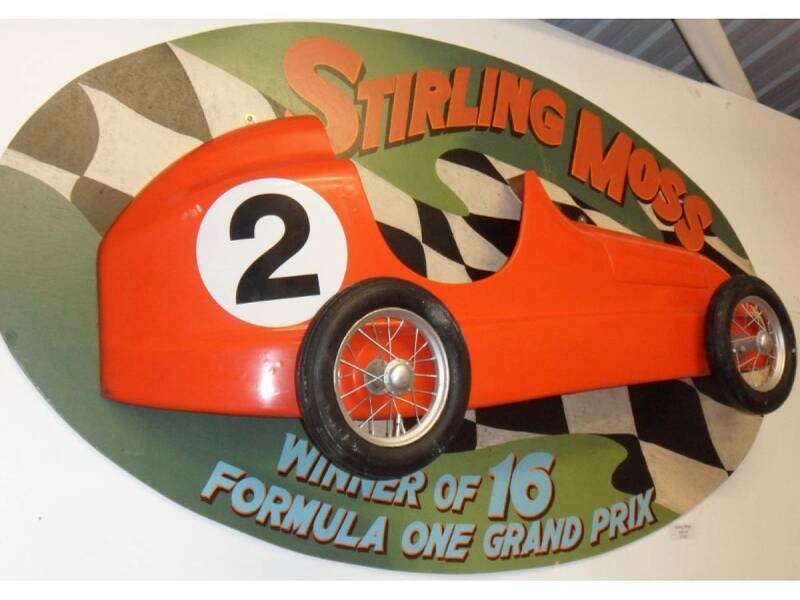 Very unusual item, perfect for a Stirling Moss or Formula 1 enthusiast. 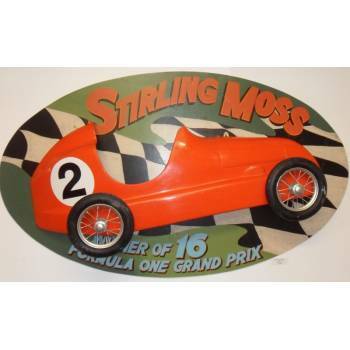 This item is a massive 3 dimensional wallart of the famous formula one racing legend Stirling Moss' F1 car. 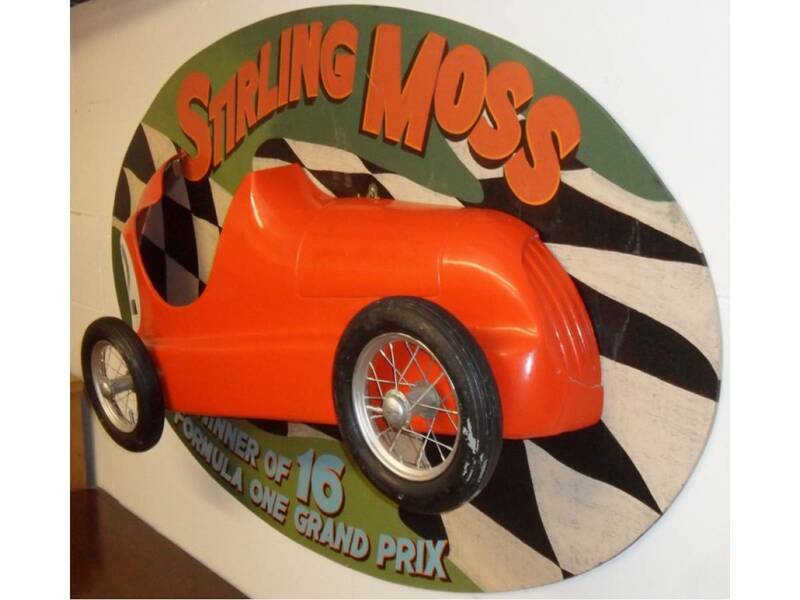 It is a hand painted plywood sign with a 3D fibreglass car projecting from it. It is heavily featured showing the wheels and body of the car. The handpainted backboard is heavily detailed. 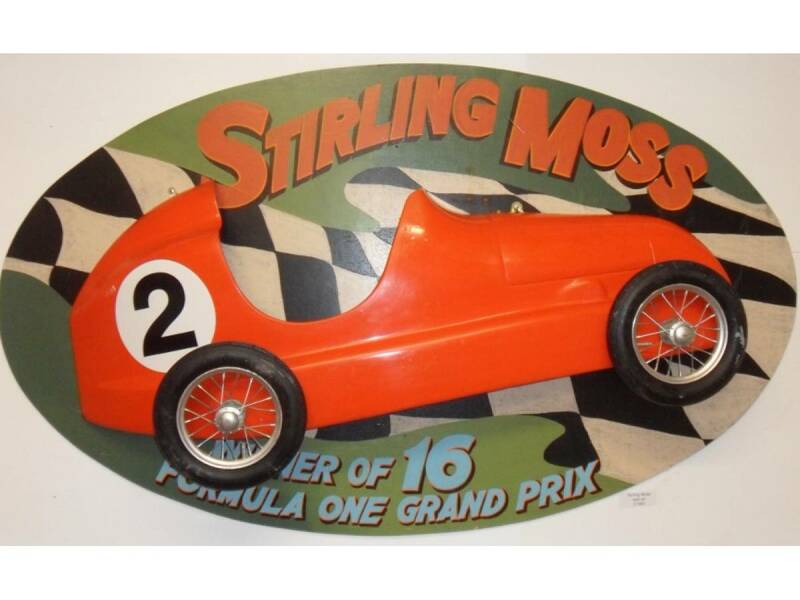 This would be perfect for any formula one or Stirling Moss enthusiast, or would sit perfectly as a feature on the wall of any racing or model car shop. The item has a few slight marks due to its age. This is a real one of a kind item and you are unlikely to see anything like this again. The dimensions of the sign are below. 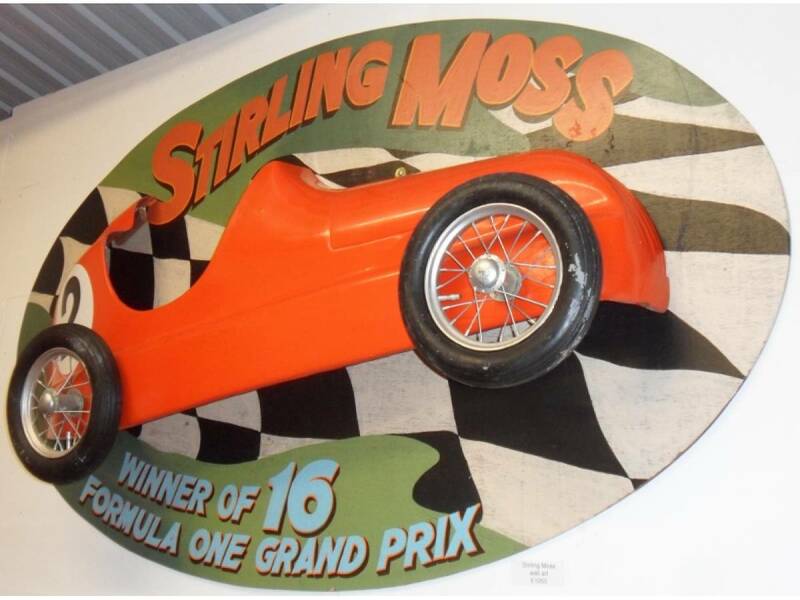 Please contact us if you need any more information, have any questions or want some more photos of this excellent Stirling Moss wall art.